Plot:From Academy Award® -winning† director Ron Howard comes the electrifying, untold story behind one of the most unforgettable moments in history. When disgraced President Richard Nixon agreed to an interview with jet-setting television personality, David Frost, he thought he’d found the key to saving his tarnished legacy. But, with a name to make and a reputation to overcome, Frost became one of Nixon’s most formidable adversaries and engaged the leader in a charged battle of wits that changed the face of politics forever. Featuring brilliant portrayals by Frank Langella and Michael Sheen, FROST/NIXON is the fascinating and suspenseful story of truth, accountability, secrets and lies. Fascinating insight into an historical moment, I had watched the last interview before on TV, and this film fills in all the gaps of the hows and whys surrounding the final admission by Nixon in his interview with Frost, and some superb acting brings the whole piece to life. I went into the film with low expectations, but under Howards unfussy direction the 70's feel, the political turmoil of the times, and the drama of the final piece were totally authentic and absorbing. The performances are perfectly understated, Michael Sheen again proves to be one of todays brightest and most versatile performers, but the movie is dominated by Frank Langellas wonderful depiction of Nixon. 400 million people watched the final interview worldwide, a remarkable achievement by Frost against so many barriers and financial blocks, and after this movie my dislike of him has turned into respect. A perfect balance of political intrigue, tension, drama and humour. I always enjoyed this one! It was certianly odd, but I sort of got what he was trying to do. An accomplished failure perhaps! John Wayne and Rock Hudson co-star in this rollicking classic set in Mexico during the tumultuous post-Civil War days. As Union Cavalry officer John Henry Thomas (John Wayne) and former Confederate Colonel James Langdon (Rock Hudson) lead their men into the new territories to begin a new life, their paths cross. Now, caught between Mexican rebels and the Emperor's forces, they find themselves fighting side by side and must forge an uneasy friendship in order to survive. 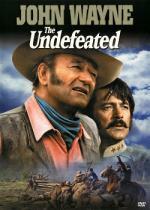 Based on a story by Stanley L. Hough, this entertaining film about unlikely aliances is Western action at its best. I started my marathon with the one movie I’ve already watched. I enjoyed this movie, but I enjoy just about any John Wayne movie. This was one of the standard John Wayne westerns where the story line is more of a backdrop for the characters and their antics than the other way around. McLintock to me is the best of these. This one had the shoot-outs, the fight scenes, the big picnic type party, the young couple romance, etc., etc. It even had the scene where JW punches someone… just because. Nobody does it like the Duke! I enjoyed Rock Hudson in this as well, except for that accent! The only thing worse was his sideburns and mustache!! The movie has many familiar faces from other JW movies. I can’t help but wonder how much fun they had using the same people on movie after movie. A bit like a reunion each time they were filming. Bottom line is I enjoyed it very much. It certainly isn’t a deep movie with any hidden meanings but it is entertaining, fun and leaves you with a smile on your face when it’s over. Regarding Wayne using many of the same people in his movies, I believe he got that from John Ford. He always used a lot of the same guys (Ward Bond, Ben Johnson, etc.) and they became known as the John Ford Stock Company. The Undefeated is actually not my favorite Wayne picture. He was getting older at this point and some of those pictures started to look and sound alike. I still don't think Duke was "phoning it in" though some others in his films may have been. Today I watched the second movie of the Neon Genesis Evangelion remake tetralogy at the AsiaFilmFest. For fans of the series there is a lot of new stuff to see here. I only have seen the series once, so for me everything in it felt new, but with familiarity to it. Even some new characters are introduced. This movie covers about the rest of the series. It seems like they will move to an entirely new direction with the remaining two movies. I don't know about phoning it in, I think the role just became so 2nd nature to him it took little to no effort on his part. Using the same basic stories made learning his lines pretty easy too JW: "Is this the part where we get drunk then get in a fight?" What'd you have that quote sitting waiting for me?!? It was actually pretty painless. Think I'll do a little happy dance. Fun over the top science fiction. I like the little "propaganda" segments, they add a nice touch of irony to the movie. The bug effects are quite nice too! Let me guess... ILM? ....<goes off to check>..... their name is there, but they're not alone! Anyways, I liked the effects. It was also very nice to see Dr Horrible, along with John Danziger and Sam Fisher. But why oh why did they have to kill the cute girl, and have the uglier one go on to be captain? A nice popcorn flick, the way I like them! Did you do a lot of oral in University, Jimmy? I enjoyed it more on first viewing, but this being the second time I saw it, it just kind of fell apart. Some bits and pieces were fine but in overall it really didn't come together. In this powerful early noir from the great Akira Kurosawa, Toshiro Mifune bursts onto the screen as a volatile, tubercular criminal who strikes up an unlikely relationship with Takashi Shimura's jaded physician. Set in and around the muddy swamps and back alleys of postwar Tokyo, 'Drunken Angel' is an evocative, moody snapshot of a treacherous time and place, featuring one of the director's most memorably violent climaxes. Akira Kurosawa is one the most accessible foreign directors, because he enjoyed doing genre pictures. His Samurai movies were legitimate Western’s and this earlier film is typical thriller and a classic Noir plot. He’s one of my favourite directors, because while the films are eminently watchable, scratch the surface and you find ambitious screenplays with a social conscience as well as superb technical endeavour. 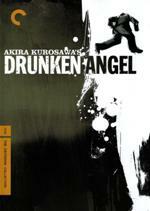 Drunken Angel is the story of a powerful Yakuza succumbing to Tuberculosis, yet finding something worthwhile in a relationship with his grumpy doctor, despite stubbornly ignoring his advice in an effort to retain his position and honour. It unfolds in a grimy, ruined town, governed by Yakuza with no visible law, and with a swamp at its centre, which as metaphors go is pretty obvious. The Yakuza themselves are a metaphor for Western influence too, living the high-life without considering consequences. Made in 1948 during the US occupation and therefore subject to rigorous censorship, I find it fascinating that Kurosawa clearly loved the American movies, yet was able to use their conventions to be very critical. The Criterion DVD talks about the strange time in which this film was made and it’s very enlightening. The two lead parts are played by Kurosawa regulars. Toshiro Mifune, playing the sick Yakuza Matsunaga, was one of cinemas most brilliant screen actors and in this role, possibly more than the Samurai ones, he shows why. He is pure charisma and convinces both as the arrogant show-off and the humbled, steely determined sick man trying to do something right. Takashi Shimura in the less showy role just as easily impresses as the Drunken Angel of the title. A miserable old sod, with a heart of gold and a fierce wit. He is Paul Newman to Mifune’s Brando and the role is perfect because in both character and performance he refuses to be intimidated, even resorting to throwing things at him in one of the films frequent touches of humour. Both are serious roles though, played with subtlety when needed and it’s powerful stuff. It has a poetic and lyrical heart. In one moment, a notorious villain is introduced in a beautiful fashion, borrowing a guitar players instrument and at least two characters hear the music change and instinctively know why. Otherwise, Kurosawa’s editing and composition is of his usual standard, wringing every bit of potential out of every scene. The finale features stark violence, with a struggle through spilled paint that looks astonishing, hence its influence on the cover. The spectacle of the London to Brighton Commemorative Run provides the background for this delightful comedy in which friendly rivalry (both automotive and sexual) between two couples develops into a no-holds-barred race! 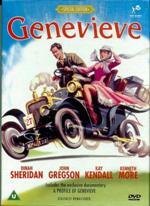 Four charming lead performances, a sharp and amusing script, Larry Adler's Oscar® nominated harmonica theme and the vintage cars themselves fortuitously combined to turn GENEVIEVE into an unexpected smash hit. One of Britain's most affectionately remembered films, it won the BAFTA for Best British Film and made More ('Reach for the Sky') and Kendall ('Doctor in the House') top box office stars. Classic, perennial British favourite and it’s all jolly thrilling! And everyone talks rather quickly, in that clipped polite tone and they’re all so jolly lovely to one another, even when they don’t like them! Don’t they, darling? Oh yes, they do! Anyone for tea? What a jolly lovely day! I may just go and bash my own brains out against a wall, darling, oh yes! Look, I know this is a classic comedy and everyone has a soft spot for it, but it has dated, despite an undeniable charm and Adler's memorable theme. I can’t actually find anything wrong with it as such, except maybe an undercurrent of snobbery, typical of the times. But the story is nice, the actors are nice, the scenery is nice, even the bloody cars are nice; in a vintage sort of way. If you have any interest in old cars, you’ll love it. As comedies go, there are laughs to be had, but each one is followed by a scene that’s just so... bloody nice. You may go mad! It’s pointless me telling you about any of the cast, because they’re all well known, but on auto-pilot. They’ve done better elsewhere, especially Kenneth More, and they were just as nice as they were here. Cannonball Run, circa ’53? Not really. It could certainly have been more fun and pales against Ealing productions. The Titfield Thunderbolt is similar in many ways, but is much funnier and still has a spark today.